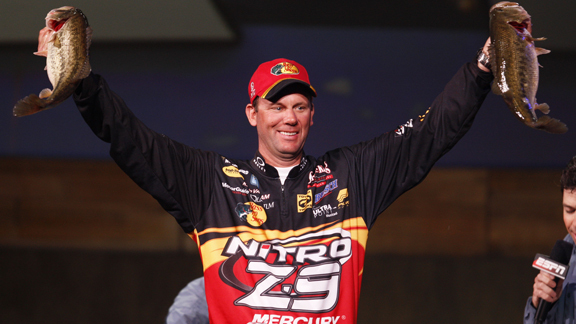 Kevin VanDam, won the Bassmaster Classic (the Super Bowl of Bass Fishing) for the third time on 2/21/2010. KVD nickname is King Kong. I fished with KVD in a tournament on the Potomac River. On that day, I beat Kevin by a few ounces. Really enjoyed fishing with Kevin that day.